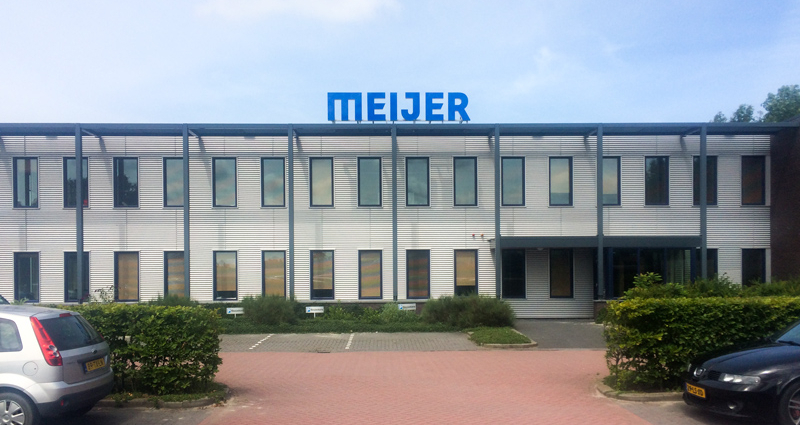 Meijer Handling Solutions responded to the launch of the OptilLedge by developing narrow, special-purpose RollerForks® for quick and efficient unloading of packaged goods from containers. 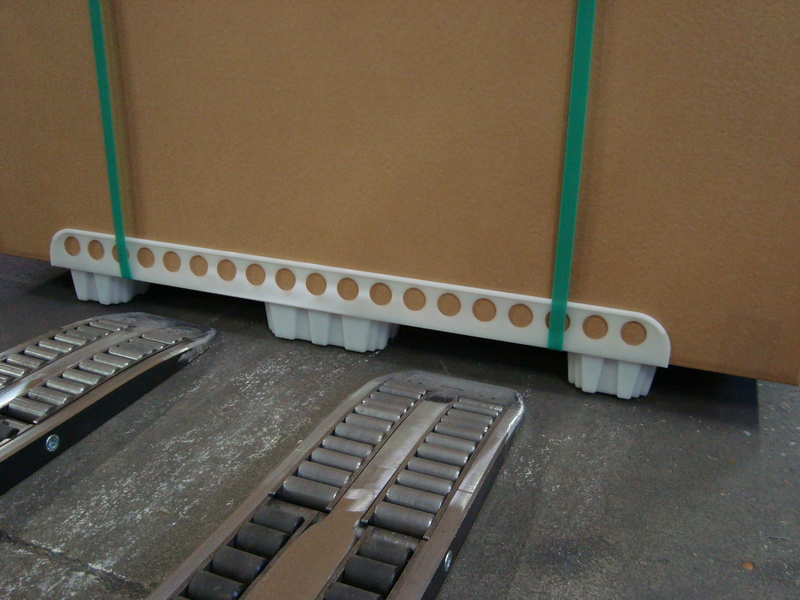 Loading ledges are secured on each side of the product, but this can cause them to sag in the middle. Standard forklift trucks tines can be forced under sagging loads, but cannot place them on in-house pallets. They can also damage the goods. Patented RollerForks® can be inserted (rolled) effortlessly under the loads. RollerForks® are special-purpose forks for forklift trucks that support loads by means of a special, heel-mounted hinge that allows forks to lie flat on the ground. Inside the forks are two layers of rollers, one on top of the other, the rollers are strictly mechanical and simply rotate one another when the forks are moved along the ground surface. The basic principle involves the upper rollers rotating at exactly the same speed, but in the opposite direction to that of the lower rollers that are in contact with the floor. When the RollerForks® are lifted off the floor, the rollers automatically drop to allow the load to rest on top of the forks.